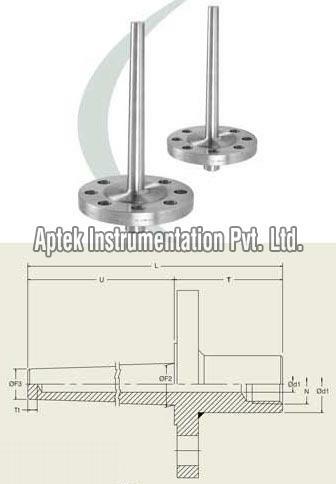 With years of experience in the industry, Aptek Instrumentation Pvt. Ltd. has gained a strong foothold as a noted Manufacturer and Exporter of Industrial Products in Ahmadabad (India). We offer a comprehensive array of Industrial Products such as Instrumentation Fittings, Pressure Gauge Accessories and Instrumentation Valves. The company is engaged in the manufacturing and exporting of Thermowell Flanged Bar Stock in all over the globe. The Thermowell Flanged Bar Stock, we offer, is known for its high quality standards and reliability. To meet the special requirements of the clients, the company offers Thermowell Flanged Bar Stock with customization facility. © Copyright 2008 - 2010. Aptek Instrumentation Pvt. Ltd.